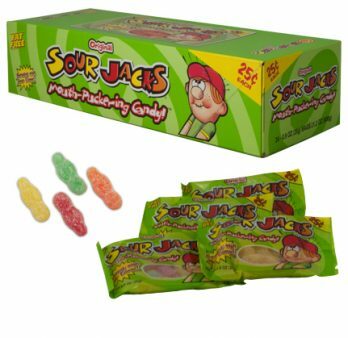 The 90’s are alive and well. 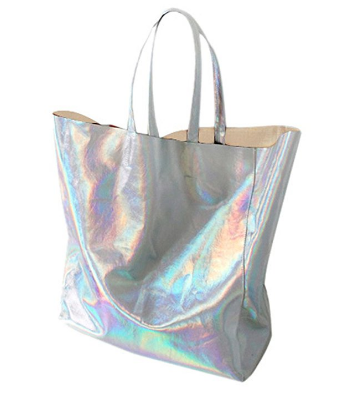 Carry groceries, overnight things, and those 90’s hair clips around in this fun hologram tote bag. 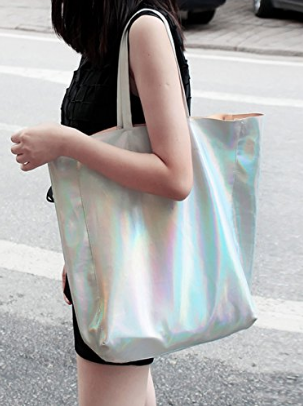 This Laser PU Shopper crafted in PU, non-stretchable material. Please hand wash cold. Casual style, textured fabric, perfect cut, full details of the sense of design, personalized and fashion.